Pritikin’s Associate Medical Director, Dr Danine Fruge is on the road and in your neighborhood. 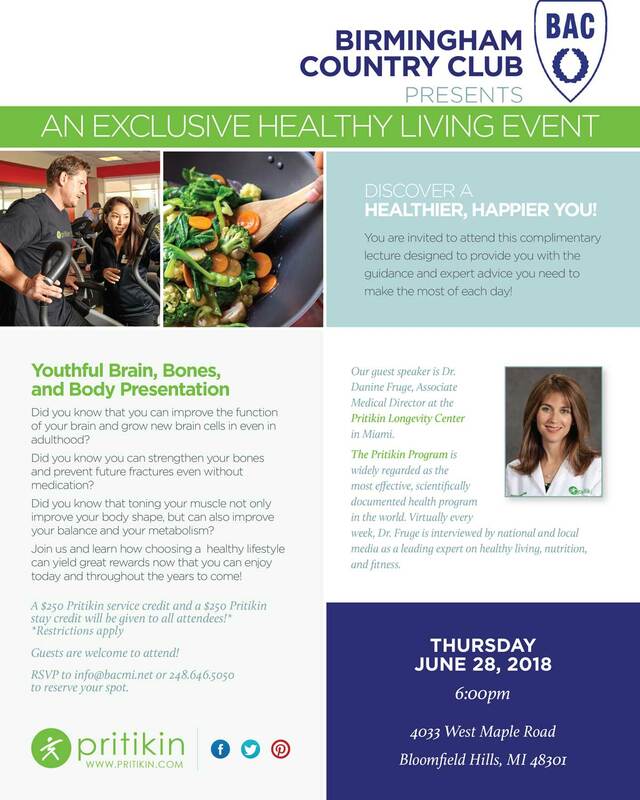 Presenting her latest lecture, Youthful Brain, Bones + Body, this will be your opportunity to hear Dr. Danine Fruge speak. The lecture will cover how to improve brain function, how to strengthen bones without medication, how to improve your balance, and more. Have you met Dr. Fruge in the past and would like to say hello and hear her present again? Or do you want to get a taste of what we do here at Pritikin from the convenience of your own neighborhood? We invite you and your friends and family members to join us.